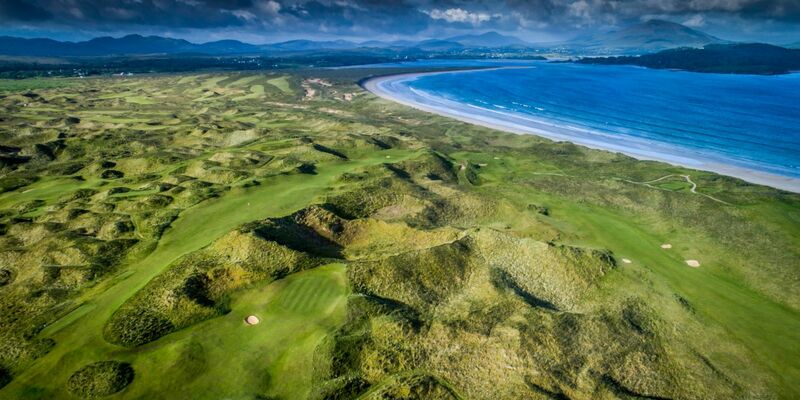 The Sandy Hills Links at Rosapenna opened for play in June 2003 and has matured into one of Ireland’s finest modern links courses. 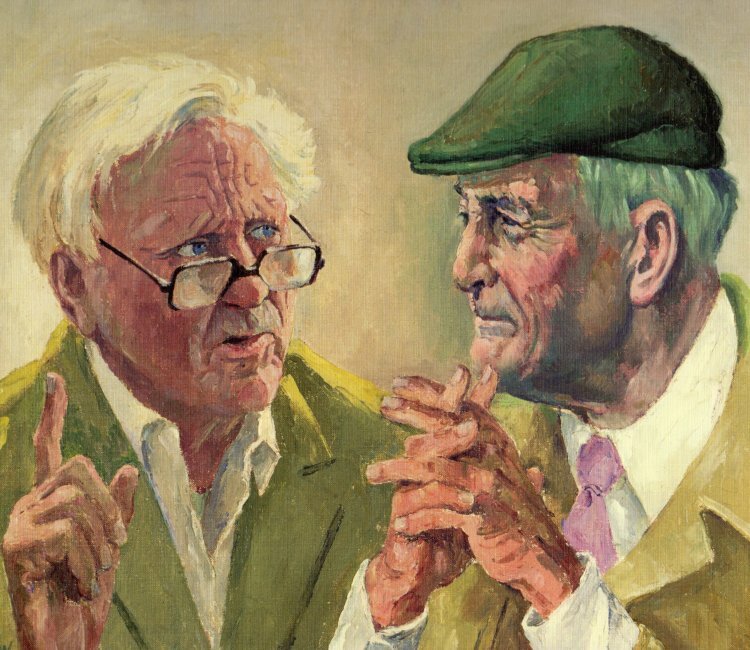 Where Old Tom settled for a course alongside the dunes, Pat Ruddy has gone straight through them from start to finish and created an awesome course that will test any golfer, yet somehow still seduce those that cannot live with it. 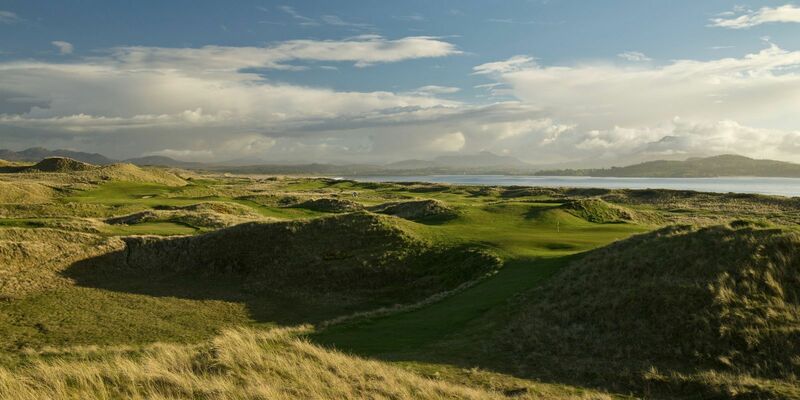 Each hole is spectacular and the views across the Old Tom Morris Links toward the beautiful Sheephaven Bay will salve any wounds inflicted by this incredible golf course. Sandy Hills is in many ways the ideal of a modern links. Intended for the serious golfer, its narrow fairways appear constricting from the tee, but the landing areas sculpted from the dunes are deceptively wide. Measuring a hefty 7,255 yards from the tips, Sandy Hills was designed with championship play in mind. However don’t allow this to deter you, with a multiplicity of tees there is a length to suit all strengths. Above all, the appeal of Sandy Hills lies in its beautifully balanced routing through the high dunes cloaked in marram grass. These sandhills bear a striking resemblance to the ones near the Giant’s Causeway in Northern Ireland that form the spine of Royal Portrush, Portstewart and Castlerock. Many of the holes feature elevated tees and greens, with drives into natural bowls on the dune floor. 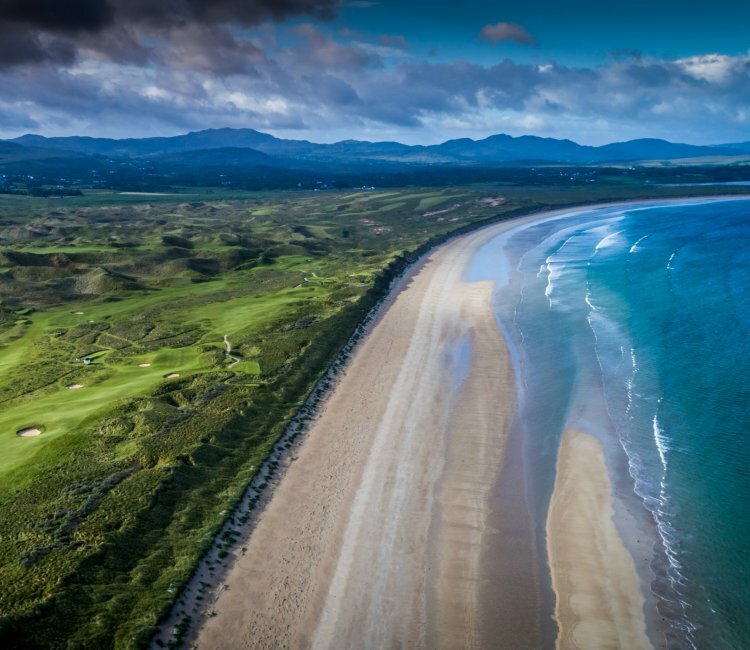 Most of the holes run north and south along the dune ridges, parallel to the front nine of the Old Tom Morris Links below, and above Tramore, the large beach along side Sheephaven Bay that caught the Scotsman’s attention so long ago. A few of the holes, like the Par-3 third, Par-3 seventh, the Par-5 eighth, and the Par-4 10th, 12th and 15th, run across the dune ridges, lending a change of pace and overwhelming sense of seclusion in the dunes. There are no average holes on the new layout, but the best come at the stretch of Nos. 6-13, which romp across the interior dunes. No. 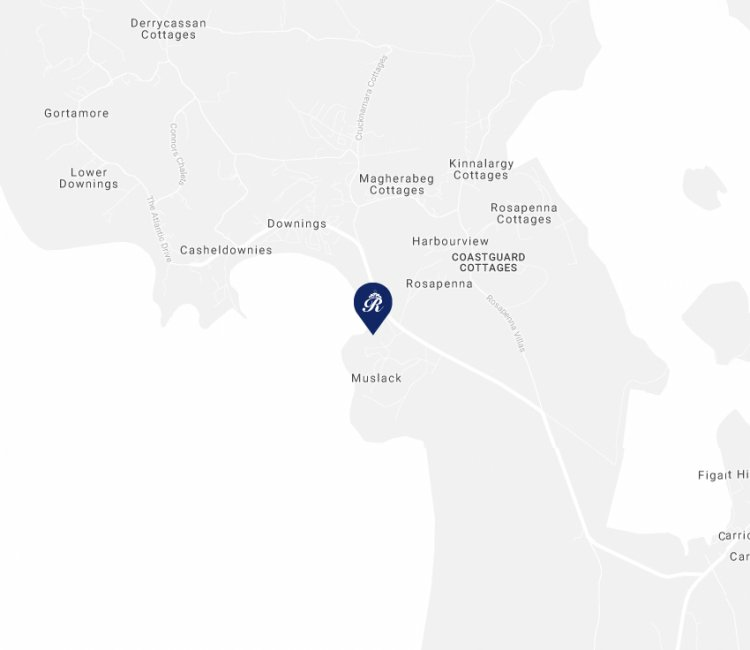 6 is at the far southern end of the course, with the drive over a crest that reveals a picture-postcard view of the sickle of beach and bay with Muckish Mountain straight ahead. No. 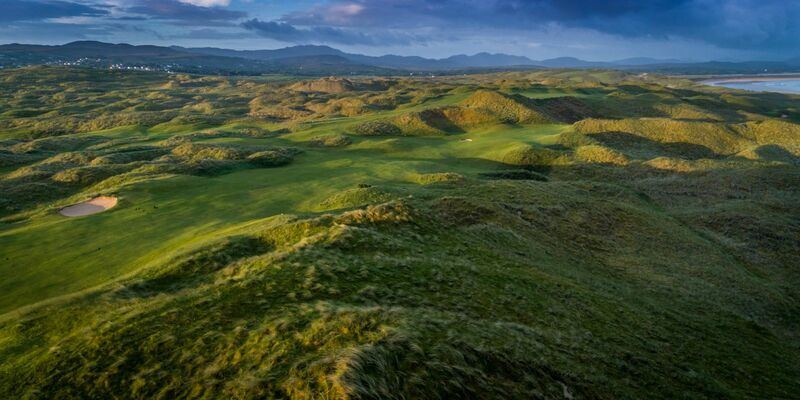 7 is a downhill Par-3 to a sliver of green peeking from the dunes, and the eighth leads inland, tumbling downhill and then rising toward the backdrop of Carrigart and the Lough Salt Mountains in the distance. The 10th hole heads back towards the sea through a secret valley in the dunes, with the raised green framed by the grey peak of Muckish. No. 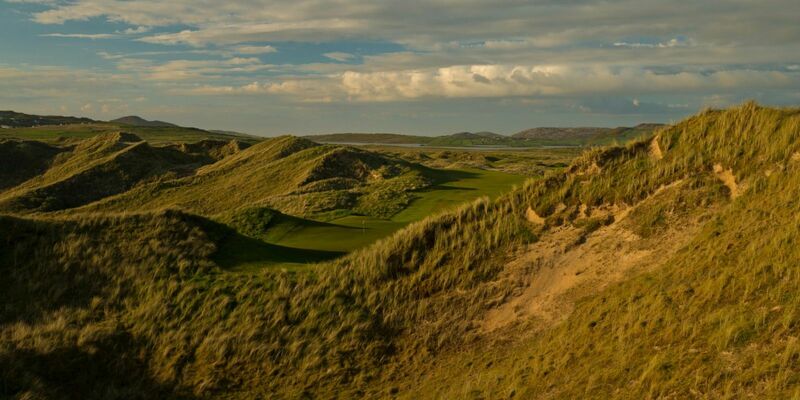 12 continues in the same direction, coursing upward through the dunes, and the 13th, having reached the higher ground, is a seamless band of smother fairway that coils to the right towards Murloy Bay. No doubt Old Tom would approve of what has become of this links land that he so keenly recognized more than a century ago.